It is beautifully warm day with a delicious breeze blowing the tree branches by my window. I am sitting in my chair reflecting on a busy day. We had an auction and because of the nice weather a number of people left early to enjoy the sunshine and work in their yards. I was surprised, though, that a number of buyers left to go mushroom hunting. I was told that today was probably the last day to find these honeycomb-like capped morels, and they were anxious to see what they could find. Though I have never hunted for these myself, I have tasted the delicious flavor when they are breaded and fried. 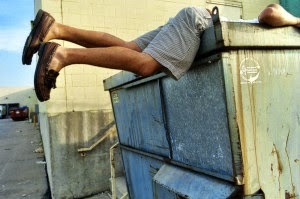 Besides enjoying the warm weather and the joy of the hunt, many spend time searching for these hidden treasures because they are found only at certain times and are expensive to buy in the store. It is worth the time and effort for the rewarding side dish at the end of the day. In today’s verse Jesus compares the kingdom of heaven to a treasure hidden in a field. According to Jesus’ parable this treasure is worth so much that when a man found it, he hid it again, and then sold all that he had to buy the whole field. This heavenly kingdom, the present and future realm in which Jesus Christ is king over all the earth, and the blessings that stem from being a member of this kingdom are worth more than all the world has to offer. Any sacrifice made to be followers of King Jesus are nothing compared to the rewards of belonging to Him. All are welcome to be part of His kingdom. He made it possible by His death on the cross and resurrection from the dead, but He asks us to give our lives completely over to Him trusting in His guidance and care. Anyone who has found this treasure knows that the joy received is worth all the cost of discipleship. 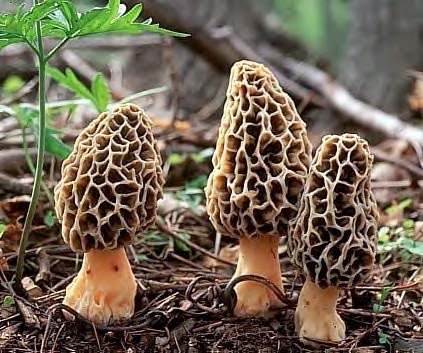 If mushroom hunters will spend hours scouring the edge of forested areas, sometimes moving deep into the woods searching for the tasty morels, then why not search for the treasure God has to give. He promises you will find Him if you search for Him with all your heart. Today may be the last day to find mushrooms but there is a better treasure waiting to be found. Start your search today and you will find the greatest treasure there is!